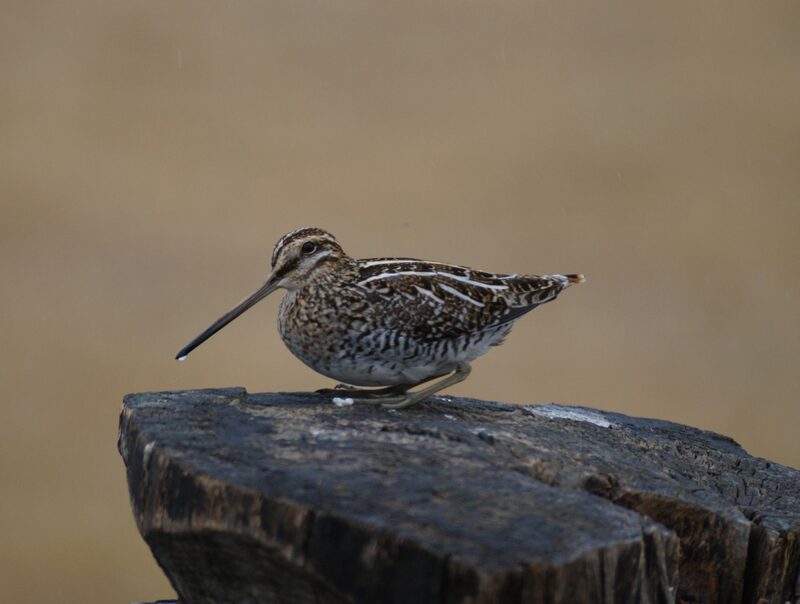 Wilson’s Snipe, Cherry County, Nebraska, 17 April 2015. Photo by Joel G. Jorgensen. What is the Birds of Nebraska – Online? Nebraska has a rich history of bird study that extends over two centuries. Periodically, individuals have attempted to synthesize all existing and available information about Nebraska’s birds, their distribution and temporal occurrence and provide it in a format that was both usable and informative. Previously, those efforts would result in a hard-copy publication, but since the observation of birds is never-ending, those publications immediately become dated. Here, with the Birds of Nebraska — Online, we (W. Ross Silcock and Joel G. Jorgensen) are providing a traditional state bird reference in an open-access online format with stand-alone species accounts that we intend to update periodically. This general format is similar to the Birds of North America Online, but without a subscription fee. We believe the accessibility, flexibility and efficiency of this format greatly outweighs any shortcomings. The Birds of Nebraska — Online is a complete revision of our previous work, Birds of Nebraska: Their Distribution and Temporal Occurrence, which was co-authored with the late Roger S. Sharpe and published by the University of Nebraska Press in 2001. On this website, readers will find an Introduction that provides an overview of the Nebraska study area and a How to Use page which provides information on how to understand and interpret Species Accounts. A Map Legend is included in the Introduction but is also provided on a standalone page for convenience. Individual species accounts are arranged on pages in taxonomic order and alphabetically. We also provide a prominent search box on our homepage so that Species Accounts can be efficiently located and accessed. The Birds of Nebraska – Online went live in April 2018 with release of waterfowl and other families at the beginning of current taxonomic order. Release of additional Species Accounts will take place during the remainder of 2018.